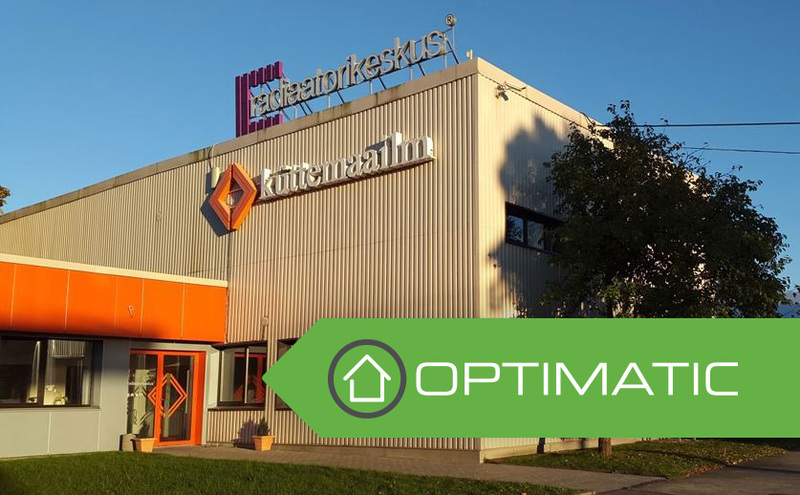 Küttemaailm OÜ, who develops metering solutions under the Optimatic brand, has been building remote reading systems in Estonia for approximately 10 years. Our solutions monitor water and heat costs in more than 30 towns across Estonia. At the beginning of 2015, we launched the first extensive district heating metering project in Estonia, during the course of which we shall equip more than 5,000 district heating network measuring locations in eight Estonian towns with the Optimatic devices that monitor in real time the heat consumption and network characteristics, thereby enabling the consumers as well as the network operators to tune and improve the actions of the heating systems. We are the Estonian representative of TECHEM, a developer of heat and water metering systems and remote reading supplies with the most experience in the world. We also represent the largest manufacturer of metering systems in the Baltic States – Axis Industries – which we market under the AXIOMA brand. The QALCO product group includes metering technology solutions. This product group encompasses different measuring devices, e.g. heat and water meters. The ENCO product group includes solutions in the field of remote reading systems and data management. Our mission is to supply the metering and energy efficiency technologies and materials on the basis of our clients’ individual needs in a low-cost and quick manner to reduce the energy/water costs of residential, business and public buildings, boiler plants, and heat and water networks. We are a professional sales company belonging to the Altius Energy group of companies, which operates on the Estonian, Finnish and Swedish market, and our product range includes approximately 50,000 engineering products, incl. radiators, valves, meters, boilers and many other heaters and piping materials. Küttemaailm also encompasses the activities of Radiaatorikeskus as a registered trademark, which offers the widest selection of different central heating radiators in the Baltic Sea region, starting with the everyday panel radiators to special order designer radiators. The warehouses of the Radiaatorikeskus always store approximately 20,000 radiators, which ensures the widest selection and the quickest delivery for our clients.